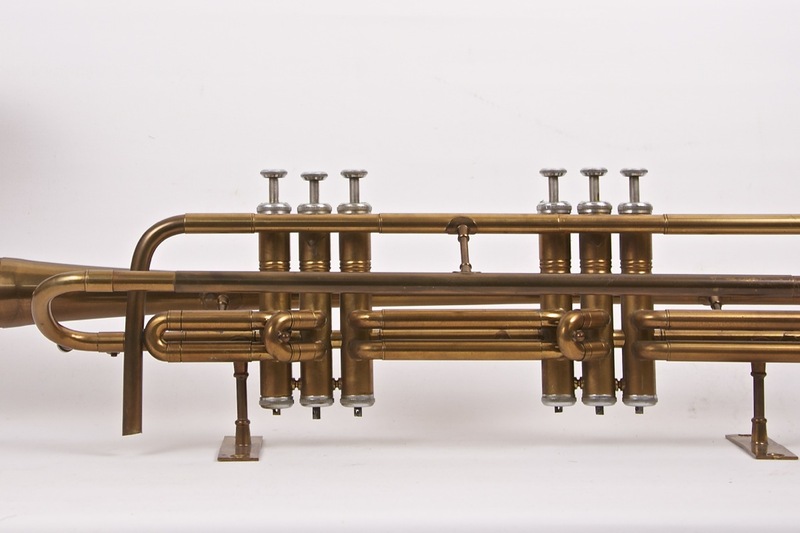 Six valves mute trumpet, actuated by pushrods. Instrument used as animation on the façade of a orchestrion. 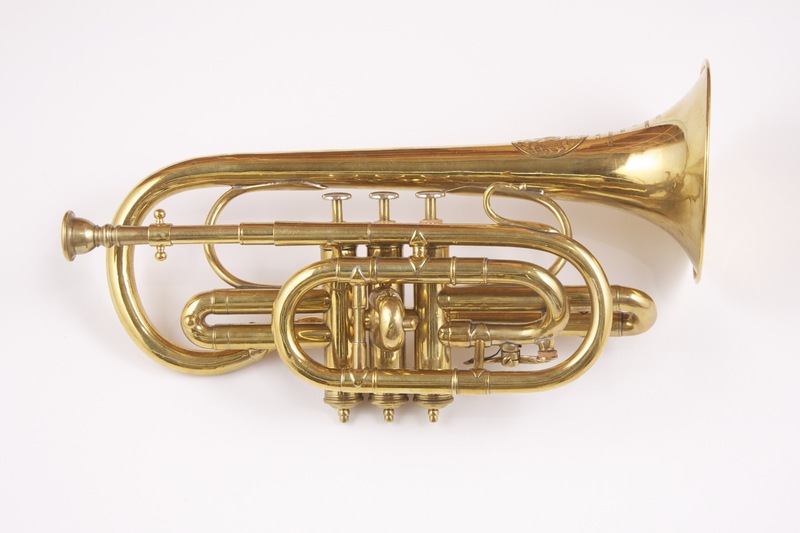 Brass cornet, 3 valves, a water key, two tuning bits and a mouthpiece. 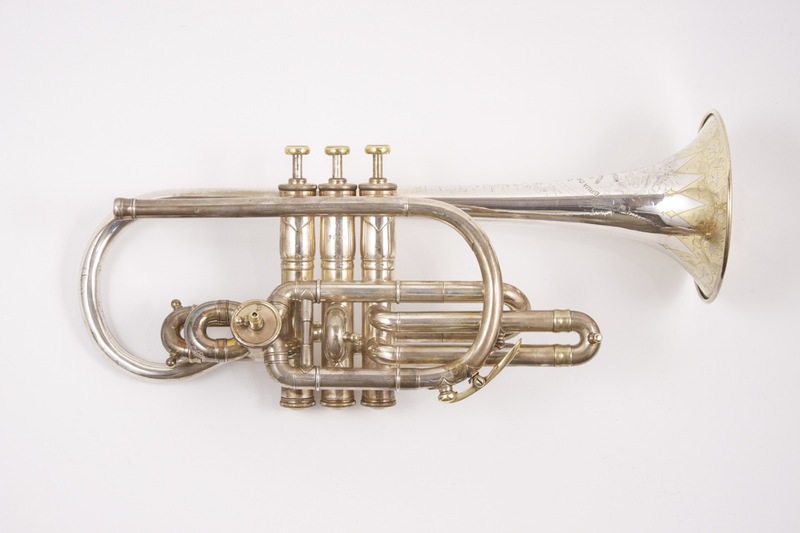 Silver platted cornet, outside and inside bell gilded and engraved by a garland of flowers, 3 valves with mother of pearl insets on buttons, barrel to transpose in A and B, no mouthpiece.